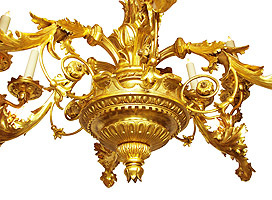 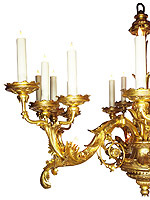 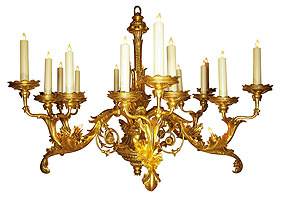 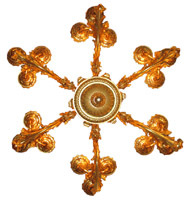 An Important Palatial Very Fine and Rare Italian 19th Century Florentine Rococo Gilt wood Carved Six-Candle arms and Twenty Four-Light Chandelier. 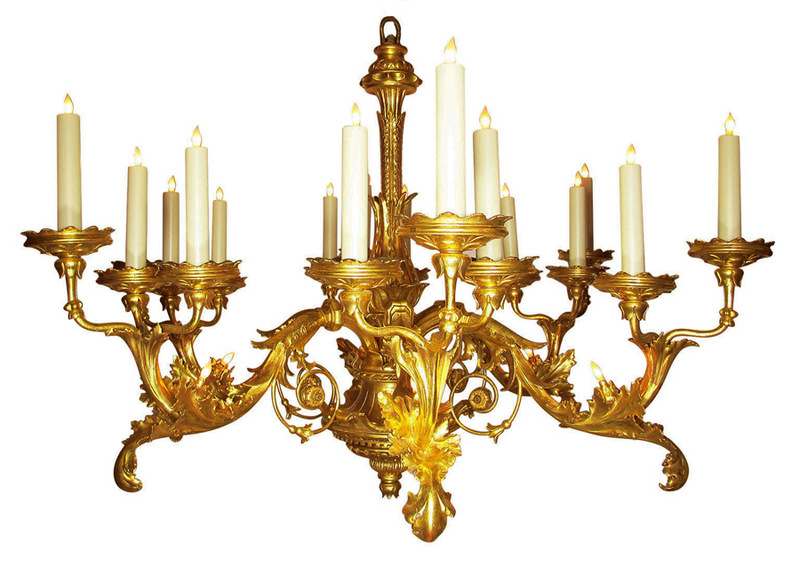 The scrolled candle arms, each with three single-light candelabra and a single light on the arm, above an acorn cartouche, now electrified. 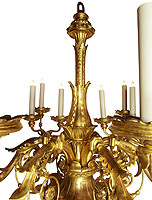 Gilt is original with some minor restorations. 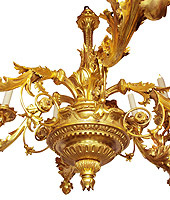 Circa: Florence, 1800's.